579 pages | 127 Color Illus. | 294 B/W Illus. Emerging imaging techniques have opened new fronts to investigate tissues, cells, and proteins. Transformative technologies such as microCT scans, super-resolution microscopy, fluorescence-based tools, and other methods now allow us to study the mechanics of cancer, dissect the origins of cellular force regulation, and examine biological specimens at the nanoscale. The Handbook of Imaging in Biological Mechanics presents the spectrum of imaging techniques used for noninvasive visualization of the morphology and mechanics of the large and small—from organs to individual macromolecules. The handbook presents optimal imaging technologies to study deformation, stress, and constitutive behavior of tissues, cells, and proteins. It also describes a suite of technologies available for probing the mechanics of surfaces, membranes, and single molecules. 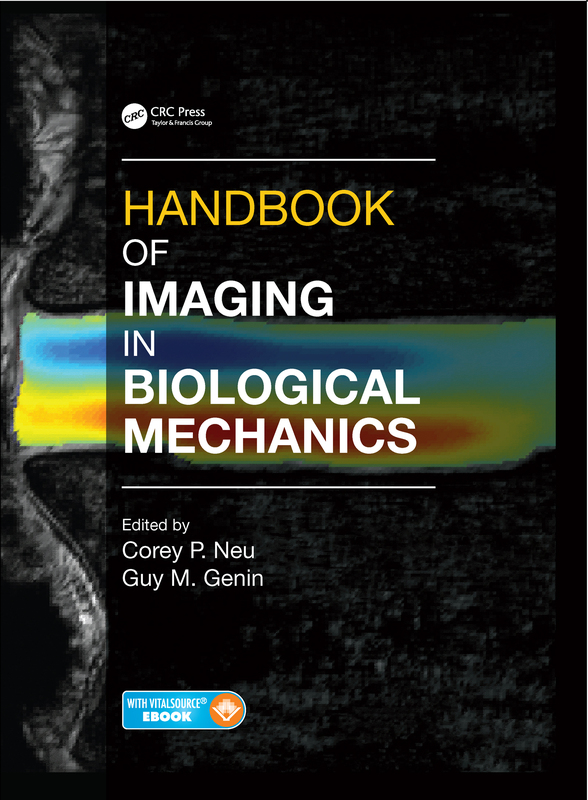 With chapters authored by highly recognized experts in their area, the handbook covers the entire spectrum of biomechanical and mechanobiologic imaging technologies available today. Corey Neu directs the Soft Tissue Bioengineering Laboratory at Purdue University and holds an appointment on the faculty in Purdue’s Weldon School of Biomedical Engineering. He earned a PhD in biomedical engineering from the University of California, Davis. Dr. Neu studies force transfer in cells and tissues in the context of disease and regeneration. His current research focuses on structural and mechanical changes to articular cartilage in the pathogenesis of osteoarthritis, and multiscale biomechanics and mechanobiology of collagen-rich tissues. Guy Genin holds appointments on the faculty of the Department of Mechanical Engineering and Materials Science at Washington University in St. Louis, and the Department of Neurosurgery at the Washington University School of Medicine. Dr. Genin earned his PhD in applied and solid mechanics from Harvard University. He studies interfaces and adhesion in nature, physiology, and engineering. He is the recipient of numerous awards for engineering design, teaching, and research, including a Research Career Award from the National Institutes of Health and the Skalak Award from the American Society of Mechanical Engineers.